This gradual shift towards increased comfort and refinement is similar to what the SUV market experienced in the late 90’s. The uni-body, car-like “cute-utes” provided an uncompromising level of comfort that the crossover customer base now expects. Adapting this crossover chassis to the pickup segment requires further updates to meet the capability expectations but the underlying advantages of increased rigidity and independent suspension remain. 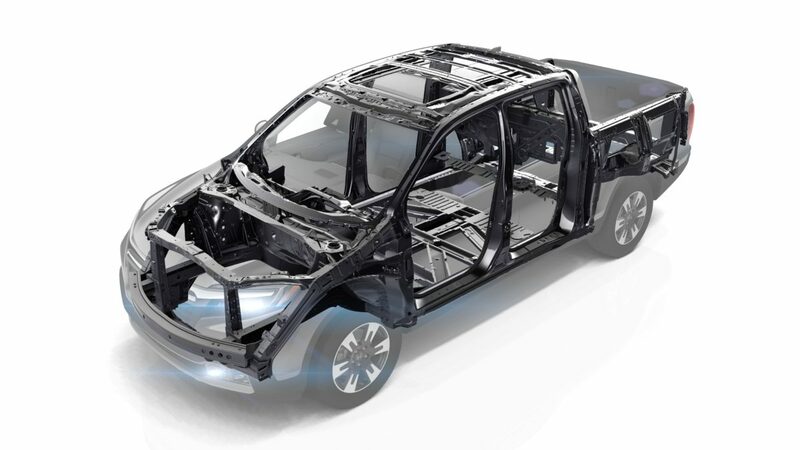 The first generation of the Honda Ridgeline offered this ride, handling, and packaging along with the capabilities expected of a mid-size pickup. It was uncompromising in its engineering but with its slightly awkward looks and casual engine, it was too much change too fast. Now, with a renewed commitment from the Honda executive team, it enters its second generation with a more traditional pickup style, improved powertrain, and hauling capabilities. Its crossover like handling keeps it separated from the existing field. By providing the familiar ride and handling, it enables the crossover customer base to easily make the transition to a pickup. Add to that, the carrying capacity comparable to today’s mid-size pickups, customers may even be pulled from this market as well.